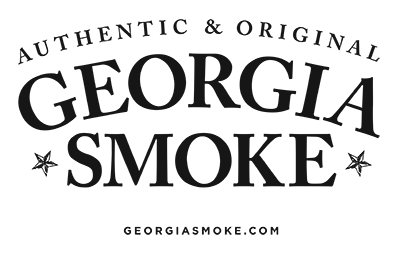 Georgia Smoke BBQ Leads the Way and Participates by Cooking Hamburgers and Hot Dogs for the Briarcliff Woods Beach Club 4th of July Party 2017 – Georgia Smoke BBQ is the Best Atlanta BBQ Catering Company. We Love What We Do and Do it the Right Way. Georgia Smoke Volunteer Steven Freeman Points to High Pressure Heat Wave Moving Into Vicinity. 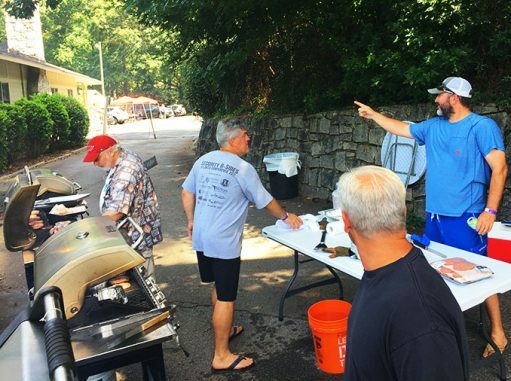 Even though it was very hot in the metro Atlanta area, and even hotter near blazing grills, Georgia Smoke BBQ led the way and committed to volunteering and participating by helping cook hamburgers and hot dogs for the hungry masses at the Briarcliff Woods Beach Club for its July 4 party while avoiding heat stroke. The hot weather cooled off later in the day as the crowd enjoyed the food immensely, according to local news reports. We are looking forward to next year’s party.